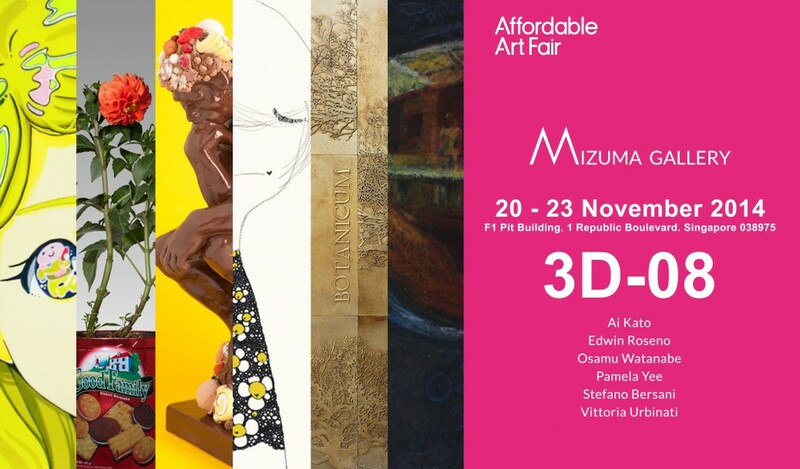 Mizuma Gallery is taking part in the upcoming Affordable Art Fair, from 20 to 23 November 2014. Visit our gallery at Booth 3D-08. For more information, please contact us at info@mizuma.sg or visit the official website for Affordable Art Fair Singapore.